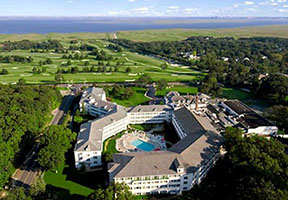 One of the finest states in the country for golf, with over 350 courses across the state, New Jersey is home to some of the most famous and well-regarded golf courses any where. Luckily for us, a lot of them are public, as well. Whether it’s wide or narrow fairways, chipping or putting, a light round for fun or a competitive game, New Jersey’s fairways match your golfing desires to a tee. The state has a long tradition and strong association with the game, along with some of the highest rated public and private courses in the country. With an illustrious history of golf excellence, the state has hosted dozens of USGA and PGA championships. The Atlantic City area is home to many of the finest public golf courses on the East Coast offering seaside links with breathtaking views to parkland-style fairways nestled in the heart of the pinelands.